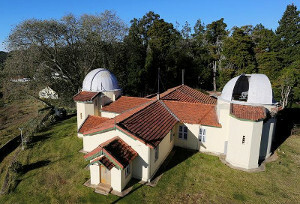 The Kodaikanal Solar Observatory (KSO) of the Indian Institute of Astrophysics is located in the beautiful Palani range of hills in Southern India. 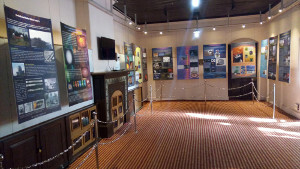 It was established in 1899 as a Solar Physics Observatory and all the activities of the Madras Observatory were shifted to Kodaikanal. 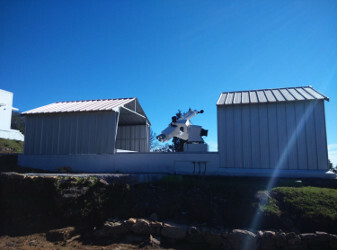 The H-alpha telescope installed at the Kodaikanal Observatory in October 2014. An objective lens of 20 cm doublet provides f/7.9 beam. 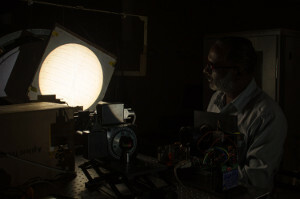 With the additional optics, the telescope makes full-disk image of the sun. 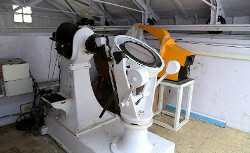 The telescope is also capable of making magnified view of partial disk of the sun. A tunable Lyot filter isolates the H-alpha spectral line. The H-alpha line center image was made with a spectral resolution of 0.4 A. With the 13.5 micron pixel CCD camera the pixel resolution is about 1.21" in full-disk and 0.48" in partial disk mode. All the H-alpha data is calibrated. The calibrated data is available for scientific research on request. 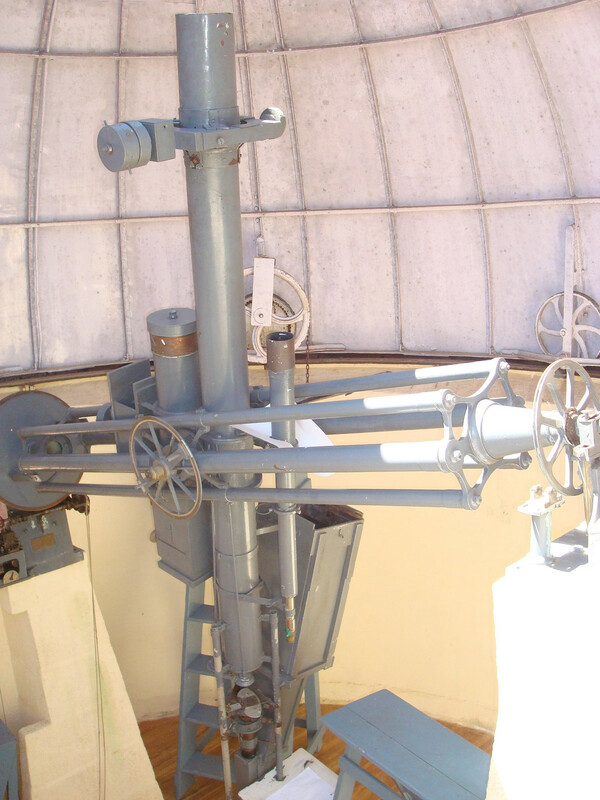 Two telescopes mounted on a single equatorial mount. 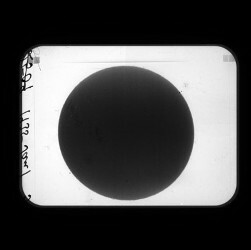 Each telescopes, having 15-cm objective lens makes the full-disk images of the sun in Ca-K (393.37 nm) and white-light. 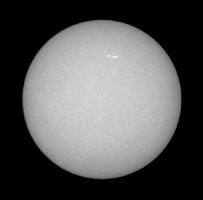 A 2048 X 2048 pixels with 13.5 micron sized CCD camera makes the full-disk images of the sun in Ca-K and white-light with a pixel resolution of 1.25 arc sec. The telescope started making the observations of the sun in Ca-K wavelength and white-light since February 2008. It has stopped making observations in 2012. 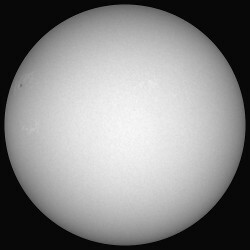 Now, the observations of the sun in Ca-K wavelength is made using WARM telescope. The calibrated data from 2008 to 2012 is available for scientific research on request. 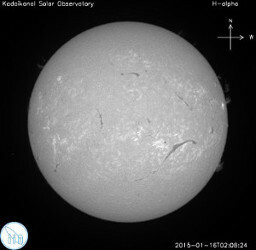 A full-disk solar imaging telescope WARM (White light Active Region Monitor) is started making the full-disk observations of the sun since January 2016 at the Kodaikanal Observatory. It has a two-mirror coelostat system which feed sunlight to the 15 cm aperture doublet. The telescope along with additional optics produces two images in perpendicular directions. 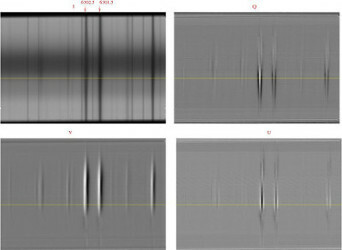 In one channel full-disk G-band images (at 430.5 nm) and in the other channel red continuum (630.25 nm) images are obtained. From February 2017, the red continuum filter is replaced with Ca-K filter. The WARM telescope is making the fulldisk observations of the photosphere and chromosphere simultaneously. 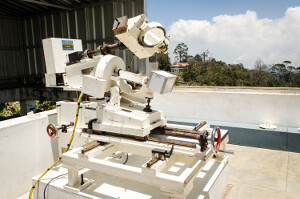 A Littrow-type spectrograph is the back-end instrument at the telescope. A 20 cm diameter, 18 m focal length achromat in conjunction with a 600 lines/mm grating gives 9 mm/A dispersion in the fifth order of the grating. Together with the 5.5 arcsec/mm spatial resolution of the image, it forms a high resolution set up for solar spectroscopy. Recording of the spectrum was made photographically in the past and at present 2k X 2k pixels CCD camera is used. 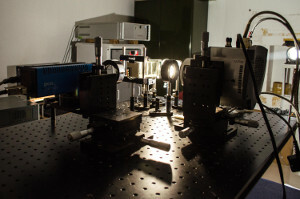 An another instrument, polarimeter set-up kept infront of the spectrograph slit makes polarization measurements in sunspot regions of the sun. This instruments provides magnetic field strength and direction in sunspot regions. 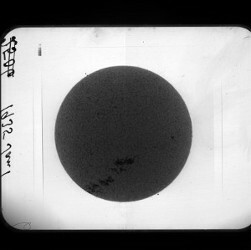 A 15 cm aperture English mounted refractor by Lerebour and Secretan, acquired in 1850 and remodelled by Grubb in 1898 to serve as a photoheliograph, is in use since the beginning of last century to obtain 20 cm white light pictures of the Sun on a daily basis, sky permitting. 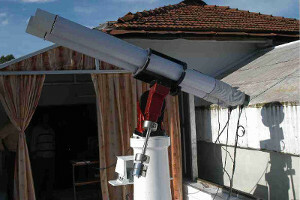 This telescope is functional till today and continue to take images in photgraphic films. 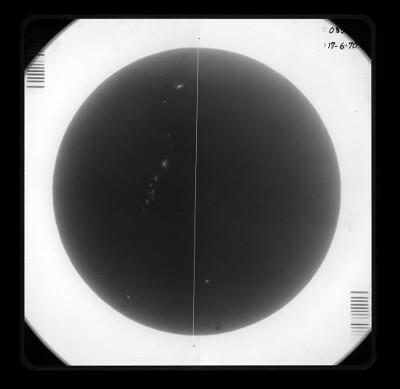 Twin spectroheliographs giving 6 cm diameter full disc photographs of the Sun in Calcium K and hydrogen alpha lines are in regular use till 1999. A 46 cm diameter Foucault siderostat feeds light to a 30 cm aperture f/22, Cooke triplet lens. 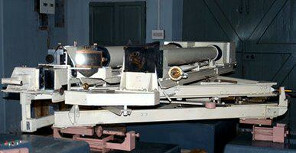 The two prism K spectroheliographs were acquired in 1904 and the H alpha grating spectroheliograph was operational in 1911. 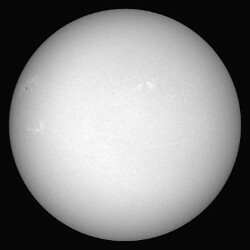 Since 1912, prominant pictures over the full limb are also being obtained in K by blocking the solar disc. 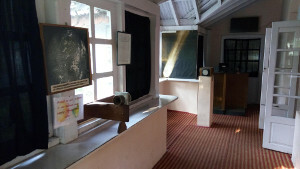 These observations and the white light pictures are obtained around 200 days a year.